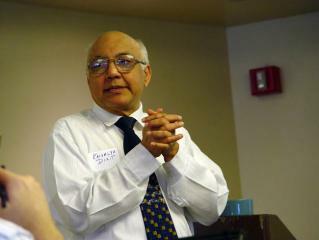 WARRENTON, Va., December 6, 2004 – The computer performance benchmarking community is mourning the loss of Kaivalya Dixit, long-time president of the Standard Performance Evaluation Corp. (SPEC). 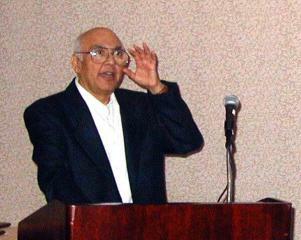 Dixit died at age 62 on November 22. Considered “Mr. SPEC” by peers and colleagues, Dixit headed the non-profit group since 1990. Along with others, Dixit codified the SPEC methodology for creating objective, repeatable benchmarks that reflect computing use in the real world. Under his leadership, SPEC produced more than two-dozen products used worldwide to evaluate performance for CPU, graphics and applications, high-performance computing, Java client/servers, mail servers, network file systems, and web servers. Most recently, he chaired the Java client/server subcommittee responsible for the SPECjAppServer2004 benchmark. 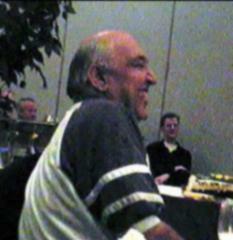 Dixit was known for his non-partisanship, devotion to SPEC ideals, and unfailing humor. 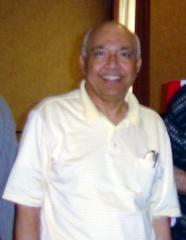 Dixit worked in the computer industry for more than 30 years, most recently at IBM in Austin, Texas. He also held engineering, marketing and management positions with Sun Microsystems and Ford Aerospace. 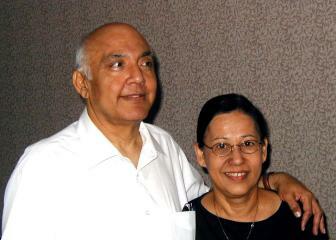 Dixit is survived by his wife Evelyn of Austin, and son Raj of Bakersfield, Calif. Memorial contributions can be made in memory of Kaivalya Dixit to the American Heart Association or the American Diabetes Association. 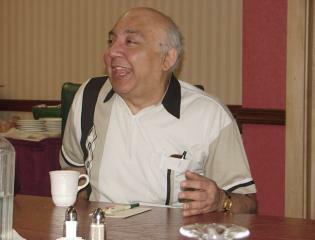 You may add your own remembrance of Kaivalya Dixit to be posted to this site. I am really very sorry to hear this. I met him recently and he was a fine man. My condolences to the family and my prayers are with them. It is sad indeed, especially since Kaivalya had such an infectious personality. My heart-felt condolences to his family. It is sad indeed. I will miss him. A great man who worked hard and was kind and generous to all. Very sad to learn of Kaivalya's passing. I will miss Kaivalya's warm, inviting personality and of course, his enthusiasm. I will always remember his stories and the great joy he showed in telling each and every one. My condolences to his family. Rest in peace, Kaivalya. This is sad, sudden and shocking. I thoroughly enjoyed my interactions with Kaivalya and will miss his presence. I'd like to express my admiration for the way that he encouraged all of us to be loyal to more than just our employers' short-term interests; that is, he encouraged us to also develop our loyalty to fair play, technical credibility, and customers as a whole. I am very sorry to hear this news. Even though I only knew Kaivalya for less than one year, it was a pleasure to work with him on SPEC business. I appreciated his warmth, humor, generosity, and feistiness. I will miss working with him a great deal. I offer my most sincere condolences to his family and friends. We're totally shocked and VERY sad to hear this!!! I exchanged some emails with him yesterday morning... Please convey our sincere condolences to Evelyn and all his family and tell them that our thoughts and prayers are with them! May God help them to find piece in these times of grief. Kaivalya was a very kind, generous and warm-hearted person. His enthusiasm, honesty, work ethic and professionalism will always serve as an example to me. I'm sure he will be GREATLY missed by all of the SPEC community. This is sad and surprising. When I was active in SPEC, I was impressed with his irreverent leadership style, fair and tough mindedness combined with genuine warmth for fellow engineers, and his ability to defuse tense discussions with humorous story telling. He will be deeply missed by the performance evaluation community. With great sadness, I heard the news of Kaivalya passing away. Kaivalya was foremost among those at SPEC who made me feel that SPEC is more than just a group of technical people from competing companies, but that we work for a common goal and, yes, can be real friends despite the differences in technical opinion that we sometimes have. I will miss him but I am glad that I had the chance to work with him for a long time. This is very sad news, a great loss for the SPEC community. I especially remember his sense of humor combined with such an interest in so many people and things. He never hesitated to speak his mind, but always did so with respect and without rancor. He treated life as very precious but also treated it lightly. His scientific interest in and gallows humor about his health issues were examples we can all carry with us throughout our lives. My condolences, thoughts, and prayers go to his family.
" How can I forget Shanti (peace)? I need some in price/perf., java and web and cpu and hpg ... No "shanti" for me until I RIP." Alas, little did I realize that he was going to attain "shanti" so soon. Words are wanting to express the incredulous shock I'm in. This is very sad news. Previous mails have reminded us of his kindness, warmth, friendship and generosity. 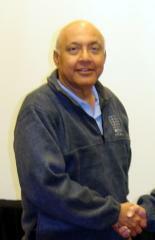 What I will remember most was his work ethic - Kaivalya contributed heavily to four or five committees. I think the best way for us to honour his memory is to continue to work hard on one of the things that mattered to him most - SPEC. Kaivalya Dixit owes no one a slice of pizza. We all owe him a lot more. Although I've known Kaivalya for a relatively short time, we have been working together fairly closely. I truely enjoyed his pleasant personality. This news struck me - and I believe all of us - with deep sadness. I knew Kaivalya for less than a year, but even in that short time I could see that he was a person with outstanding qualities. He was always very friendly and kind to me, and made me feel very welcome in the SPEC community. We will all miss him greatly. Please extend my condolences to his family; Kaivalya will be in my thoughts and prayers. I am sad to hear that Kaivalya has passed away. I will remember Kaivalya as a very hard worker, and a very honest and patient man who put up with, and did his best to respond to, my difficult SPEC-newbie questions. This is very sad news to hear. Kaivalya was a leader in the true sense of the word. We followed Kaivalya, because of our sincere fondness of him. From the time I met Kaivalya, he made me feel like I was an immediate member of the SPEC close and special family. Please, send my condolences to Evelyn, whom I was very fortunate to have met, and the rest of his wonderful family. I have known Kaivalya since the early 1990s, but only in the last two or three years worked with him again as a close colleague. The shock of the news this morning was enormous - I think largely because of the largeness of his personality, which obscured the significance of the health problems he documented to us all. Leading a multi-vendor organization as successfully as he did requires great management skills, and great personal qualities; on top of that Kaivalya brought to the job, as many have already pointed out, an integrity, and a vision of all our roles as transcending our own smaller organizations, and he communicated it to all of us. I will certainly miss him. And my thoughts go to those he was closest to. Very sad and shocked to know that Kaivalya has passed away. He has been a very amiable and friendly president of the java subcommittee. Many of us at Orcale have been working with him for the last few years and we are all saddened by this news. Please convey our condolences to his family. 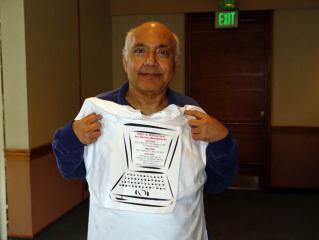 I know Kaivalya brought many IBM'ers into SPEC and helped us all get our bearings within the organization. His eternal spirit of friendliness made this possible for all of the IBM'er he helped. After joining SPEC I could also see how he was an incredible leader in a cross vendor group as he brought fair and sensible resolution to many issues without IBM bias. He related many times his love of this group and his work, but in having my first child he reminded me over and over how important family was and how quickly time with the young ones can slip away. I remembered that discussion personally today as I spent some quality time off with my son. I will remember his industry and personal influence for many years to come. I have had the pleasure of working with, and against, Kaivalya for more than a decade -- he was one of the first people I met at SPEC, and he set quite an example. In all of my time in performance, I have not known a more worthy competitor, nor have I ever found a more dependable partner. He touched a great many of us; may we all remember his spirit. It is with great sadness that I read Michael's note. Kaivalya was a wonderful person to know. I ran into him about 16 years ago, and watched SPEC form and grow and thrive ever since. This was in no small part due to Kaivalya's dedication and hard work. He accomplished much, and did so with a great sense of fun and humour. He will be missed. Kaivalya touched more people than he probably realized, including several who have worked for me over the last 15 years and never met him in person. One could learn a lot from him about diplomacy, magnanimity, and caring. My wife is sad today, even though she never met Kaivalya in person. When she underwent heart surgery this spring, we received good wishes from many people in the SPEC community. Kaivalya was especially encouraging and supporting. He knew what Peggy was going through, and his encouraging words, passed along by me, were a comfort to both of us. We'll miss a great person, but we're all the better for having known him. He had such a passion for his work, yet never allowed it to interfere with his family, friends, and other more important things in life. I know he will be missed by us all for a long long time. I think I'll try to remember him by not taking for granted those "other" things he cared about. I have a feeling he's ok with that. Reading such an outpuring of fond memories in just one day I realize I had no idea how many lives Kaivalya touched. Those of us who knew him a long time talk about his kindness, leadership, dedication, and fair spirit. And those who knew him a short time tell of a man who, when they were virtual strangers, went far out of his way to be a friend and mentor. He leaves behind for now two other kind and gentle spirits, Eveyln and Raj, and my prayers are with them. It is very hard for me to write for my heart is broken. Kaivalya was my SPEC Godfather. I will miss him, his support, his laughter, his strong will, his strength, and his kind words. Though it was hard for me to be at work today, I knew it is where he'd want me to be so I stayed. As the day ended, I found my strength to write. I want to share something the first SPEC lawyer, Tom Skornia, wrote to him in 1998 when he was sick and I have kept it all these years. It was appropriate then as it is now. The royal guard has things under control. Sweet dreams, Kaivalya. As always, I'll be here. Very sad to hear this. It had been many years since I talked with Kaivalya but I never stopped thinking of him. I'm sorry for our loss, he was a good man. I liked dixit@fixit and I'll remember him for a long time. I didn't have a lot of fans at Sun and he was one of them, he recognized that I cared about "fast" more than company politics. I know Kaivalya for about one and half year. I find he was very caring and dedicated person. He sent me a note wishing me and my family happy new year 10 days ago. I am very sorry to hear this. My condolences go to his family. I can still see Kaivalya smile and hear him laugh on a sunny Mountain View day in 1988. He had convinced me to move to California and work for Sun. I arrived from Boston and was greeted by an earthquake on my first day! Kaivalya was focused and direct -- a straight shooter. He was always approachable and easy to talk to, and that is how he landed me on his team. This is sad news. I haven't talked to Kaivalya since I left Sun in 1997, but I remember him as a wonderful guy and respected his work greatly. I am very sad and sorry to have forward this to the Java subcommittee, but our Chair and friend Kaivalya has passed away. He cannot be replaced, and we will miss him dearly. Rest in peace, Kaivalya. Kaiavalya was a great friend and a good person, and I am very sad to hear that he is no longer with us. Oh no! It's a sad day. Kaivalya was a great guy, and an amazing motivational source for keeping SPEC going. My deepest condolences to Evelyn and his kids. We'll all miss him. I am very saddened by the tragic news of Kaivalya Dixit's passing. When I worked with him in my role as Intergraph's SPEC representative, he always seemed full of energy and a major driving force in SPEC's growth and success. I had a very high respect for him. I met Kaivalya just after he joined IBM when he was so proud of the business cards that he'd had printed that listed his title as "Chief Trouble Maker." After that, I enjoyed working for him in IBM 3 times and then, after moving to AMD, with him in SPEC. Just after I started working for Kaivalya the last time he had his heart attack and I got to know Evelyn and Raj. They are in my prayers. His passing is a great loss to SPEC, IBM, and the many people he touched. I will miss him. I saw the news about Kaivalya and am quite saddened. He was a wonderful person and really helped make SPEC successful. Please pass on my condolences to Evelyn. My condolences to the Dixit family in their loss of a fine man. Kaivalya gave me the opportunity to work at Sun for many years, and to contribute to the benchmarking community. I will always remember Kaivalya's energy and persisitence. He was always a source of irritation when any of us needed it, in addition to being a source of support when we needed it. Though I have not seen him in years, we have talked, and his support was welcomed. There are those rare people in this world who immediately make you feel welcome and comfortable. That wasn't my first impression of Kaivalya though. I first met him back in 2000 when he was taking over leadershp for the chair of the OSG-Java group. The first comment I remember was "If this is your first time listen and don't talk." I thought wow...that's a bit bold. In any event, with that one statement Kaivalya endeared himself to me because of his quiet yet bold personality. We became quite good friends over the next several years and I learned some great lessons about fair play and fierce competition from the master who understood both well. Kaivalya, always the worker was ever reminding me to not work too hard and neglect my little ones at home. I already miss him terribly but count myself so fortunate for the time we were able to work together. Rest well my friend, you leave behind a legacy and an influence on others that is so much more than any of us could appreciate, until now. This business has seen numerous industry-consortia efforts arise with great fanfare, and then sink with little trace, whereas SPEC is a successful institution. Many have contributed to SPEC, but without Kaivalya's long persistence in an inherently difficult mission, it's hard to imagine SPEC as it is. There are certain people in various fields of endeavor that are known by simply their first names. In the various computing industries (software, silicon, computers, embedded systems, and so on), there are very few indeed. Nobody called Kaivalya Dixit anything other than "Kaivalya." He was that kind of guy. He never insisted on being called anything else. I was a part of SPEC back in the mid-1990's, and helped start SPEC MBC (SPECmedia). Kaivalya was always there, always gracious and helpful and intelligent and funny and HUMAN. That's really it, isn't it? Kaivalya was so human, it makes you weep to think he's gone now. My great sorrow is a selfish one: that I have lived in Austin 13 years and never took the time to get to know Kaivalya better as a friend, never called him up to have lunch. I think part of my reticence for doing so was ironic - I had so much respect for him, for what he accomplished, that I felt that I never wanted to waste his time. The road not take - I wandered off into embedded systems and embedded computing and helped start a benchmarking organization in that realm, and left SPEC. I wonder what might have been had I been more brave to ask for a bit of his time, to get some advice and counsel. Funny thing is, I'm sure he would have laughed at my reticence. He was never unapproachable. It was only my own ... respect ... for him that I did not. Selfishly I think, "now I'll never have a chance to do so", but when I think deeper, perhaps this is not so, for I can "hear" Kaivalya in my head just a bit, and even though I never was very close to him (having never worked on any projects other than SPEC with him, and then only for a couple of years), if I try hard enough, I can *hear* his voice. If we all try hard enough, we can hear his voice. Shanti to you, Kaivalya. I will try to listen for your voice, that oh so human voice of reason. This is sad, sudden, and shocking. Kaivalya was a father figure within SPEC, and SPEC has become an orphan. I have known Kaivalya for the last two years, and I have appreciated his enthusiasm, energy, and drive. He will be sorely missed. I have a lot of memories of Kaivalya, starting from a phone conversation on SPEC89 benchmarks when I was a graduate student at Penn State and he was at Sun. He was always helpful. Kaivalya had just given a wonderful panel presentation at the 7th IEEE Workshop on Workload Characterization on October 25th, 2004, that we organized. 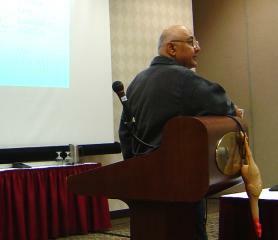 Several of my students enjoyed his presentation and had started interacting with him. I cannot believe he passed away in less than a month of that meeting. May his soul rest in peace.